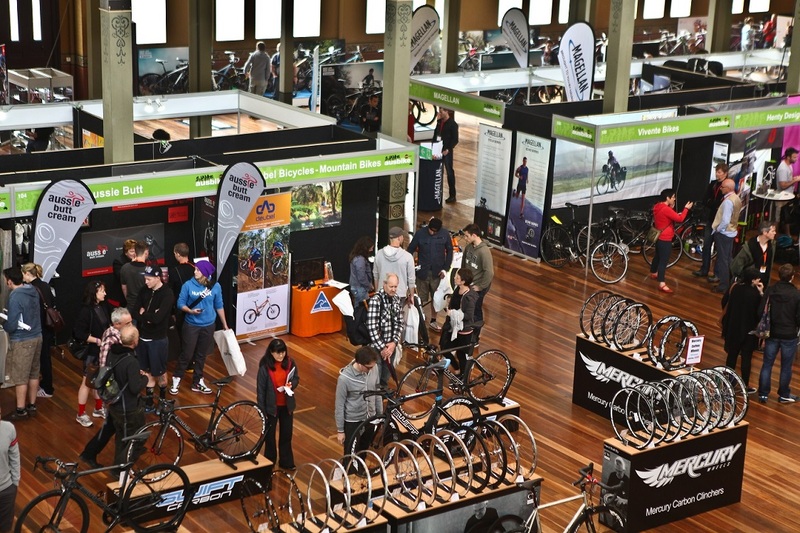 The Australian cycling trade expo was held at the magnificent Royal Exhibition Building, where visitors could see brands from around the world and speak to those who know them best. 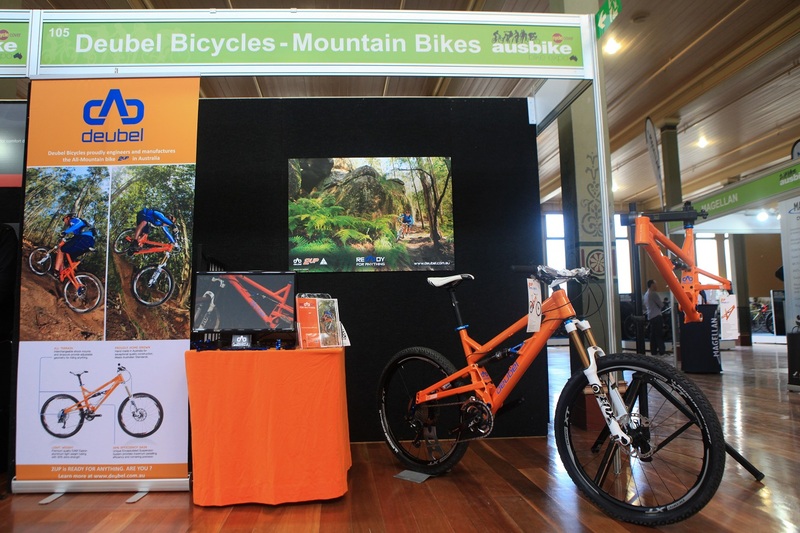 Deubel Bicycles was there and had an amazing response from impressed riders who tested the Deubel 2UP. Immediately they felt great on an inspiring geometry, having some plush suspensions but yet getting the most of their pedal strokes. They all wanted to know more about the secrets of the 2UP and Sebastien Deubel, the father of the 2UP, demonstrates the benefits of having interchangeable shock mounts and dropouts (to adjust the geometry of the bike, to fit different wheel sizes, rear hub widths and diameters) and of having an unique swingarm system sandwiching the lower tubes of the swingarm (to resist the most lateral forces during pedalling and cornering). 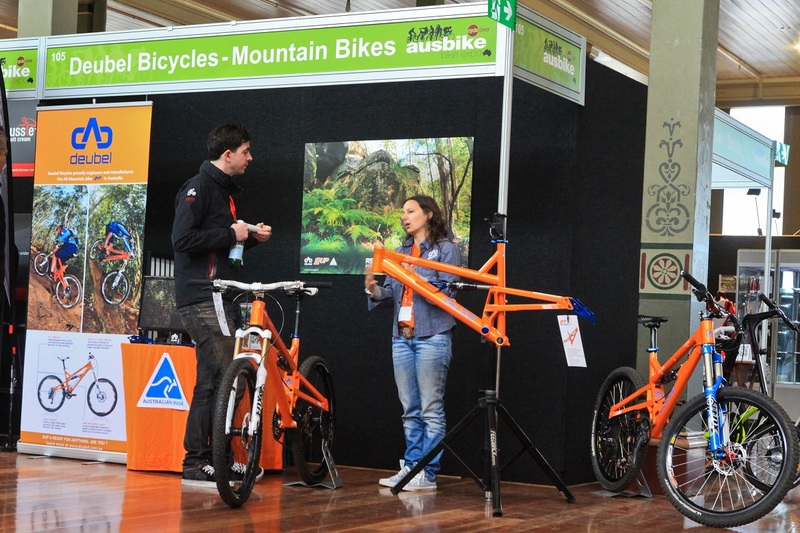 The 2UP, handmade in Australia by a Megavalanche winner, has been taylor made for the All Mountain or Gravity Enduro racing. 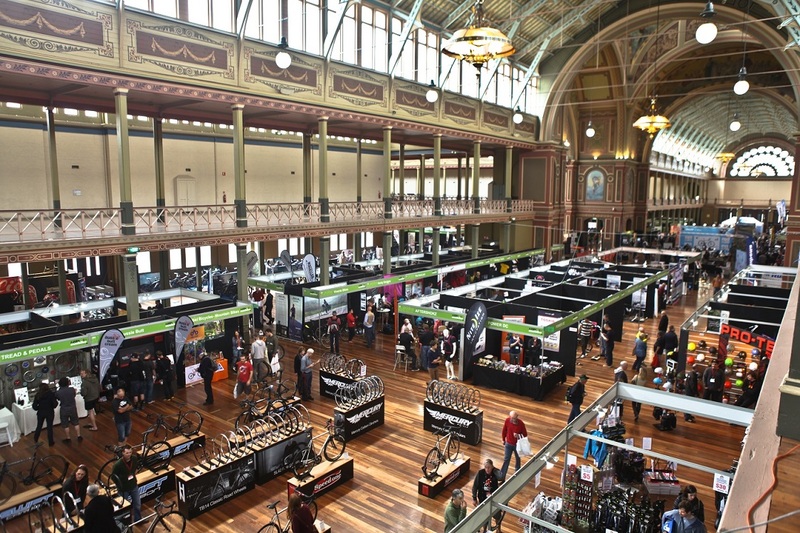 So keep an eye on the next Flow Rollercoaster and Australian National Gravity Enduro Series in 2014. More wins are coming.